World renowned star Kate Del Castillo and premier Hispanic Mixed Martial Arts (MMA) sports entertainment franchise, Combate Americas, have joined forces in a landmark deal that redefines the world of combat sports for Latinos and women. With an equity stake in the company the new owner and significant shareholder of Combate Americas came with a clear vision to continue the company’s commitment of female empowerment and take on an active leadership role in growing the global MMA sports entertainment brand. “Kate embodies the fierceness, tenacity and passion that defines the Combate Americas brand and its fighters.” says Campbell McLaren, CEO and Founder of Combate Americas. “Kate is now an equity partner and will take on a leadership role in the company and chairs our advisory board, joining our other prestigious investors including Chairman Joe Plumeri, Ambassador Cliff Sobel and John Howard,” he added. Kate’s most immediate point of focus as an owner will be the upcoming ‘Combate de Reinas’ live television event at Galen Center in Los Angeles on Friday, April 26. A watershed moment, the event will mark the first time in history that a combat sports event will feature an all-women’s lineup on broadcast television. 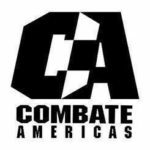 Combate Americas is the premier Hispanic Mixed Martial Arts (MMA) sports franchise, rapidly becoming the number two sport after soccer, for Spanish speaking fans worldwide. The Combate Americas franchise includes live event and original shoulder programming on some of the biggest television, OTT and digital platforms in Spanish and English, including Univision and Univision Deportes Network (UDN), DAZN, ESPN, GOL and Facebook Watch worldwide. The company also owns and operates a multi-platform media studio, La Jaula Studios. With an unprecedented and cutting-edge product and a blue-chip ownership and management team, Combate Americas is poised to break new ground and bring about a new era in world championship level MMA competition.